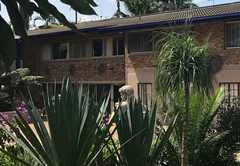 The Rest Guesthouse is one of the highly recommended Nelspruit guest houses and provides accommodation in 5 guest rooms for tourists visiting the Lowveld Legogote region. 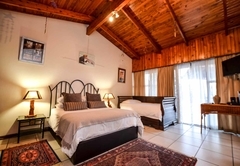 The Rest Guesthouse offers bed and breakfast accommodation in three rooms. 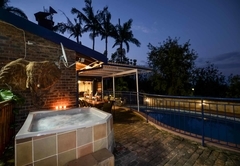 The guesthouse is located in Nelspruit and is an ideal stop over for those traveling to the Kruger National Park and is ideal for those exploring the neighbouring areas. 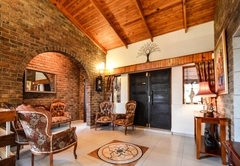 The guesthouse is close to local amenities and is a peaceful place to stay. 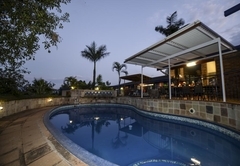 The rooms are offered on a bed & breakfast basis and there is secure parking for your vehicles. 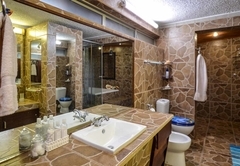 Queen-size bed and an en-suite bathroom that features a shower, basin and toilet. 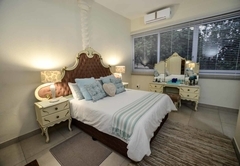 Spacious room with a Queen-size bed and a day bed for one child, en-suite bathroom that features a shower and bath, basin and toilet. 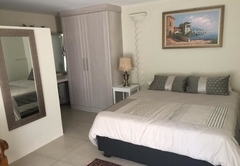 This room has two single beds and does not have an en-suite bathroom. 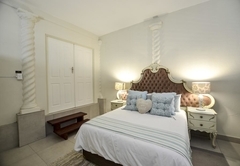 Queen-size bed with an en-suite bathroom that features a shower, basin and toilet. 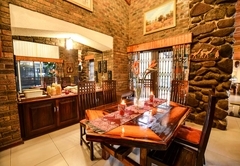 A full breakfast is served in the dining room and the guest house also features a communal braai facilities for guests to make use of. 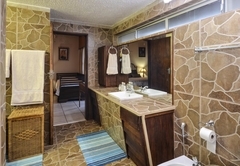 Queen-size bed and an en-suite bathroom that features a shower, basin and toilet. 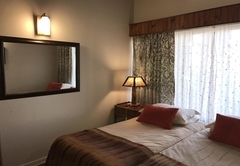 The rooms are offered on a bed & breakfast basis and there is secure parking for your vehicles. 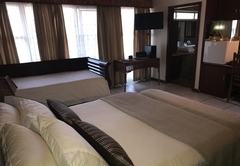 Spacious room with a queen-size bed and a day bed for 1 child, en-suite bathroom that features a shower and bath, basin and toilet. Twin beds, not en-suite bathroom. 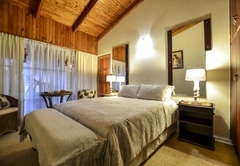 The rooms are offered on a bed & breakfast basis and there is secure parking for your vehicles. 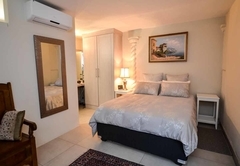 Queensize bed, en-suite bathroom, aircon, TV. The rooms are offered on a bed & breakfast basis and there is secure parking for your vehicles. Got to be the best in town!!! 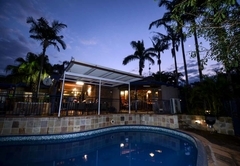 Great venue, well situated, close to town and plenty of space. Like home away from home. 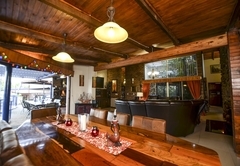 Good security, safe parking, good food and warm ,friendly owners. 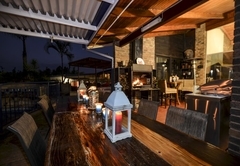 On site Beauty salon, Jacuzzi and Deck space to enjoy. 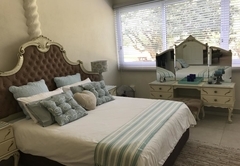 If you are looking to just relax and have peace and quiet, this is the place! 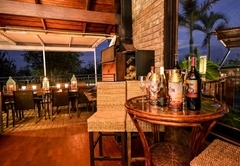 Clean upmarket facilities adds to the comfort you can enjoy here. Thank you Andre and Sharon for a wonderful stay and be sure I will spreading the word and I will be be back! 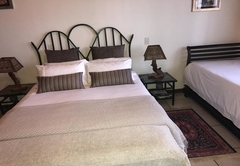 Friendly, welcoming and a most comfortable stay. Will most certainly be back! Response timeThe Rest Guesthouse typically responds to requests in 5-10 minutes. Child policyChildren from 10years old are welcome.